Author AdministratorsPosted on June 3, 2016 June 2, 2016 Categories Book FairsTags IU Reading Challenge, What Indie Book Are You Reading This Month? Not part of a challenge, just a new, fun novella. I just finished THE ONLY WITNESS by Pamela Beason. It’s part of a 2-book series but stands alone. Nicely written and well edited! 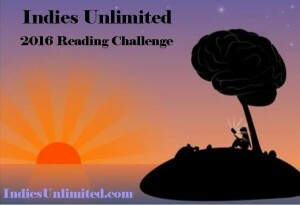 Reading Challenge Category: A book set in a different culture than your own. Finding Travis by Melissa Bowersock. Because I love Melissa’s books and this one is awesome. Part of my Goodreads challenge…to read the number of books I’ve set myself. The Girl with Red Hair – Michael J. Sanford – Highest of High Fantasy: gods, elves, demons, and an incredibly complex mythology. Mercy Row Retribution – Harry Hallman – Contemporary Action Adventure – remake of the Godfather Series. Why I Hunt Flying Saucers – Hugh A. D. Spencer – SF Short Stories – Haven’t read this one yet. El and Onine by Paige Ambroziak. Just reviewed it. Wonderful take on a creation story.